I think my personal experience permits me to write with a voice of authority on adopting a pet. The first point I want to make clear is that it's a big and life-changing event to bring a pet into your home. Even more so, to adopt a pet that has been abused or neglected, adds a whole new circumstance. Their behavior, good or bad, may be based on past experiences, which also, may be good or bad. I can't tell you exactly how many dogs and cats I've rescued over the years. If I sat and thought about it for a long time, I might get close to the answer. I can say, it's been dozens, if not hundreds. Most of them have only passed through my life briefly, long enough to find a good suitable forever home. A few I've brought home from time to time when no other alternative seemed feasible. Currently, I care for a colony of outdoor cats. Although several different ones come and go, there are at least six regulars I see most every day, including three semi-feral cats that I added to the group from a bad situation. Cats that have been dropped by humans, cats that wander into the neighborhood looking for food, find it and return regularly to eat, the neighbors' cats when they have no food out - all are part of this group I feed twice daily. At this writing, I have seven dogs, all adorable mutts, five of which I adopted from my local shelter -- Chance, Tripper, Moose, Molly and Toby. Pooh and Dylan, I've written about here previously. I must say, you couldn't find a better pack of dogs anywhere. They have established their own hierarchy and rules and allow me to be alpha of them all. It's quite a privilege. In all truth, except for a tour in the military, I've devoted my adult life to animals and having as many as I do means I can't up and take off whenever the mood strikes. That's the main reason I started this new business. I realize how difficult it can be to travel if you have pets at home. I wanted to help make that possible for others. Anyway, when it comes to adopting a pet, my best advice is to think as objectively as possible before bringing the animal into your home. Ask yourself some questions. Do I have the time to take proper care of this animal? Am I willing to see that he or she gets enough exercise, attention and socialization to live a long healthy life? Do I want to make the time to take proper care of this animal? As the old saying goes, we make the time for what we want to do. Do I have the financial resources to ensure that my pet has access to the best food, regular veterinary care and living conditions? Will I be committed to this animal for the long-term? Remember both dogs and cats, when healthy live a long time. Small dog breeds live on the average of 10-15 years and it's not unusual for small dogs to live up to 18 to 20 years of age. Larger dogs live on the average of 8-12 years and medium size breeds somewhere in between small breeds and large breeds. Cats live to age 13 to 17, on average. And again, it's not uncommon for a domesticated cat that lives exclusively indoors to live to the ripe old age of 20. For both cats and dogs, the numbers cited are averages. Remember that some breeds live longer than others, because some breeds are prone to significant health problems and when you're adopting a mixed breed pet, it's difficult to know the animal's genetic susceptibility. Remember this pet is not something you can stick a tag on and sell in the neighborhood garage sale if you tire of him or her. It's all about commitment. I can personally attest to the fact that it requires a great deal of time and energy if you have a pet in your household. I can also say it's well worth the effort. This animal will need attention, financial and emotional support. Yes, cats and dogs do need emotional support to thrive in our human-made environments. Most, too, require an adjustment period, a few weeks to a month or more to get accustomed to new surroundings and new routines. Furthermore, if you choose to adopt a puppy, you will need to be with him much more often than an older dog. He's going to need to go outside to potty every two hours or so and he'll need lots of socialization, attention and training. Puppies also require multiple exercise periods throughout the day. Adult dogs need regular exercise about three times a day, depending on breed, age and other factors. This means a walk morning, midday and night if you do not have a fenced-in area where you can exercise your dog. Cats, too, need exercise. A play period once a day typically works well for a cat. Take a test drive before committing. If you're thinking of adopting a dog, take her for a walk, play a simple game with the dog to see how she responds to you and how you respond to her. If you're thinking of adopting a cat, I would recommend NOT taking it for a walk. (Joke.) Interact with the cat, hold him and play with him and see how he responds to you. Ask your local shelter if you can foster an animal in a trial period. Some organizations will allow potential pet owners to do this to see if the pet and the human are a good match. 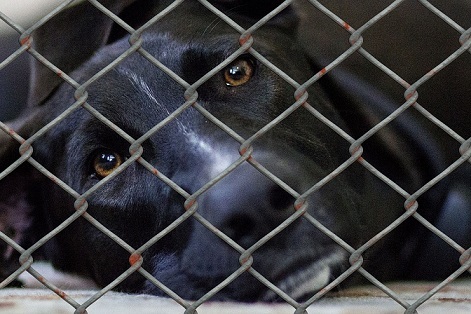 Don't get caught up in the urban myths that make the rounds about shelter animals. Research has shown that animals adopted from a shelter suffer less health problems in their lifetime than pets bought at a retail store. I know the local humane society where I live vaccinates all animals taken in, treats any current health problems, spays and neuters and works on socializing any dogs or cats that need this BEFORE actually offering the animal up for adoption. Additionally, my local shelter is not unique. 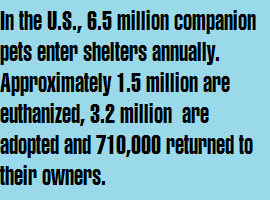 You'll find that most animal shelters and rescue organizations do this routinely. If you decide you want to adopt, the benefits of having a fur-baby in your home are tremendous. First of all, research has shown that owning a pet provides a number of health benefits to the human. Second, from my experience, there's nothing quite like the gratitude shown from a pet that has been rescued and brought into a loving environment. And third, and most important of all you're saving a living being. 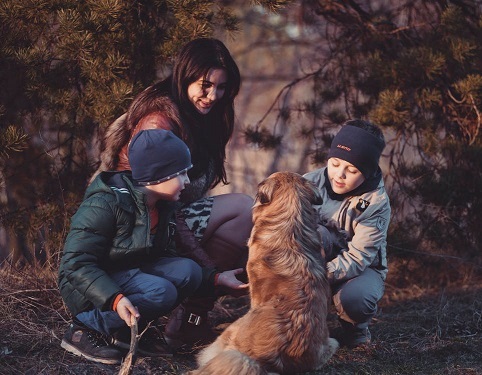 Additional Resource: The American Veterinary Medical Association provides an excellent guide on Selecting a Pet for Your Family. Also, if you live in Franklin County and you're ready to adopt, please check out the Pets Available for Adoption in Frankfort. Regardless of where you live, I invite to read the helpful posts listed below on bringing your new furry friend home.